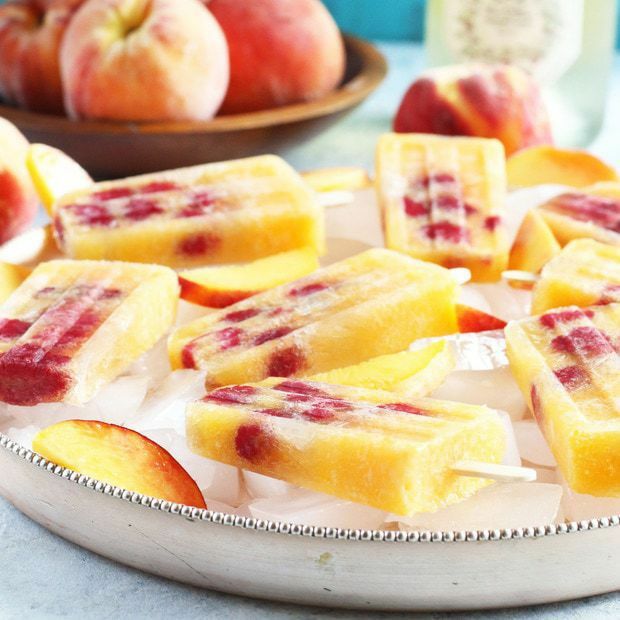 Raspberry Peach Prosecco Popsicles are essentially a cocktail on a stick! 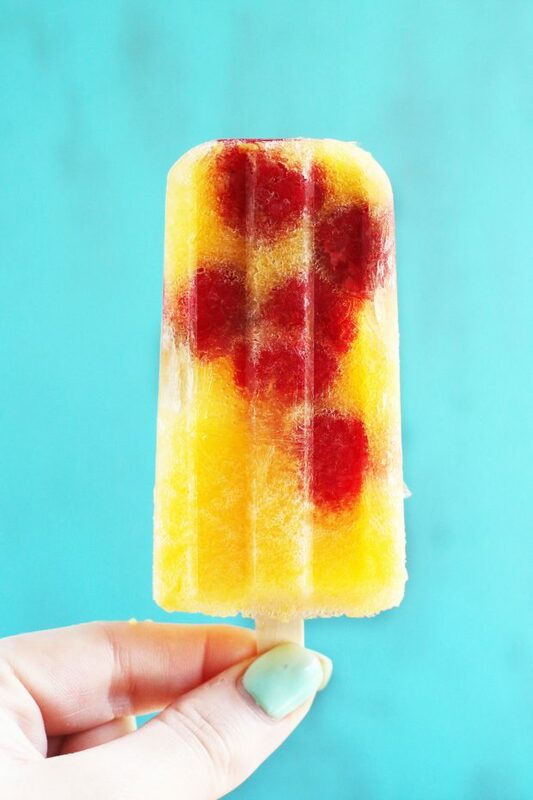 Bubbly sweet prosecco combined with fresh peach juice and a burst of whole raspberries in each bite is a summer frozen treat you won’t be able to resist. 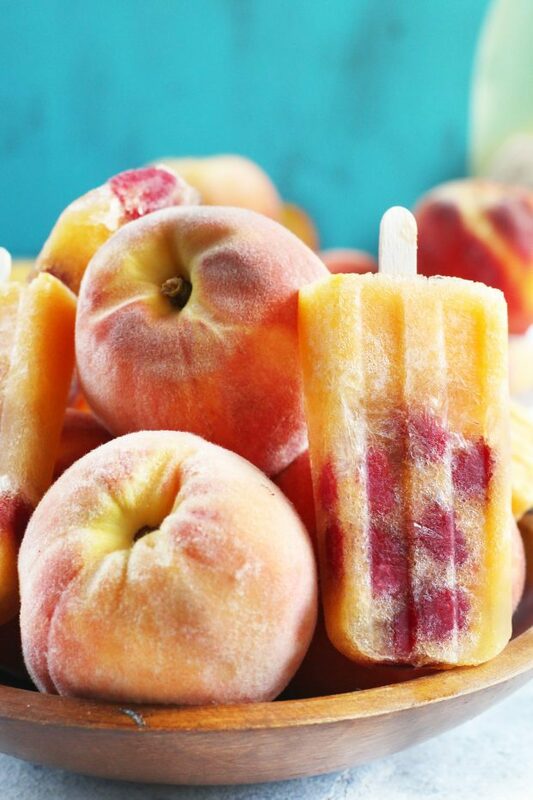 This is the ultimate way to end the summer, on a peachy, bubbly high note. I have a drawer full of ripe peaches and I am desperately trying to use them up as quickly as possible! After spending a week up in Fruita (adjacent to peach heaven, aka Palisade, Colorado), eating peaches with the juice dribbling down my chin, I decided it would be a fantastic idea to being a crate back with me to continue the obsession. So I shared with my friends. I shared with our parents. And I still have a drawer full of peaches that I need to use ASAP. I have even been eating a peach a day (you know, to keep the doctor away or whatever that saying is) and still. Millions of peaches. Name that song… If you can’t, you are making me feel really dated right now. This particular peachy keen recipe is sweet, bubbly, and boozy. Just the way I like my desserts. And my cocktails. 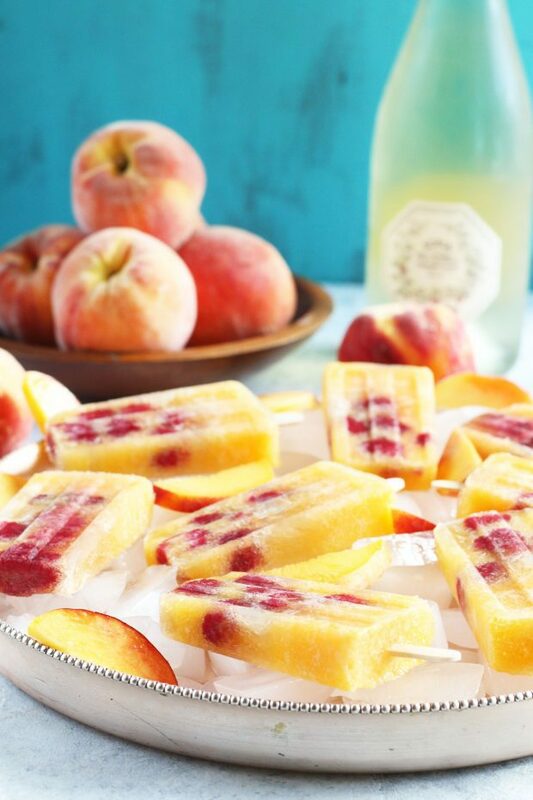 I LOVE chilled prosecco during the height of summer, and turning it into a flavorful cocktail popsicle was so the best idea ever. It gives the bubbly deliciousness a whole new flavor profile! 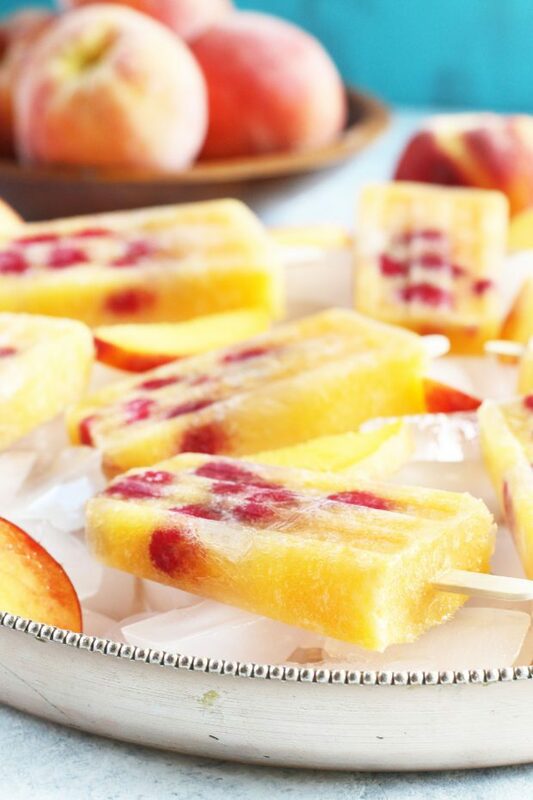 They are the simplest popsicles to make, requiring very few ingredients, and they are like sunshine on a popsicle stick. I highly recommend busting these out from now until the leaves start turning color, marking the entrance of fall. Whether you are sitting out on the porch at the end of dinner, enjoying these popsicles as a sweet treat, or gathering the girls together to shake up the normal happy hour routine, everyone is going to go BONKERS over this peachy, berry, frozen bliss. 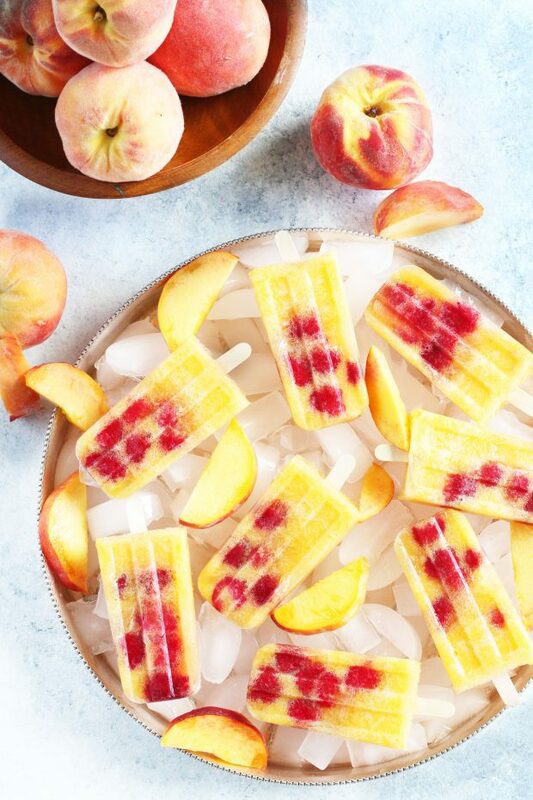 to make these stunning, colorful popsicles come to life! is the best way to clean fresh berries – plus there’s a bottom that you can add so it doubles as a bowl to eat those freshly cleaned berries out of! 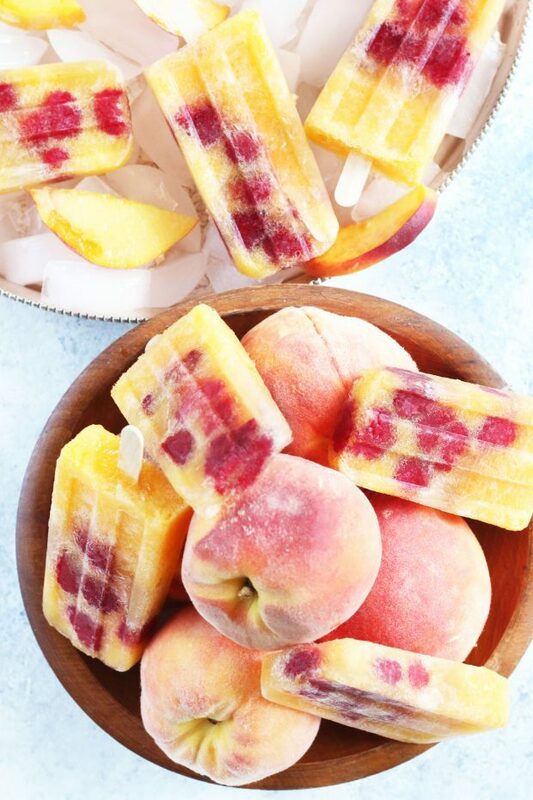 Pin this Raspberry Peach Prosecco Popsicles recipe for later! The bubbly combination of prosecco, fresh peaches, and fresh raspberries are just what you need to cool off with! Add peaches, prosecco, and simple syrup to a blender. Puree until smooth. Divide raspberries evenly between popsicle molds. Be sure to push the large berries to the bottom so they stack up in the molds. Top each with the prosecco mixture until full. Add popsicle sticks and freeze for 4 to 6 hours, or until the popsicles are solid. 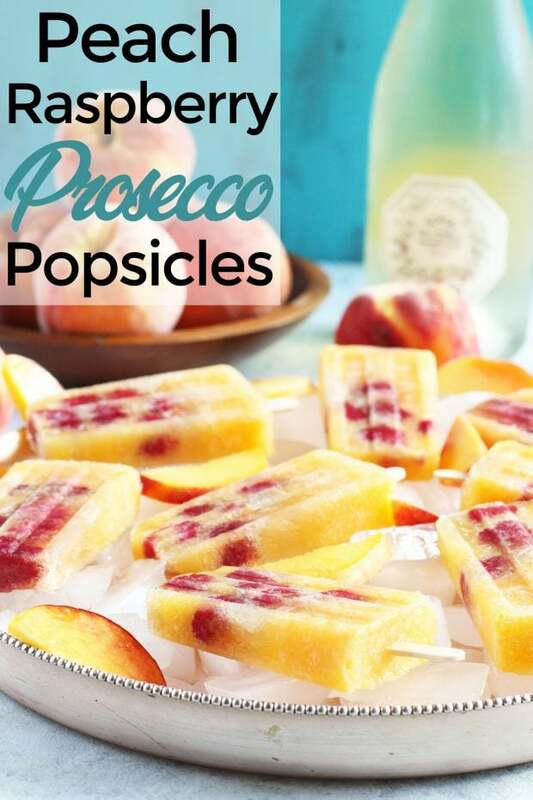 Mmm these Prosecco Popsicles are beautiful! 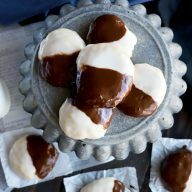 I’m making these soon! These have my name all over them. Love each ingredient. 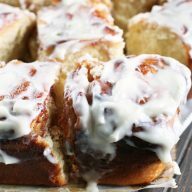 I see these going down in my house this weekend. I need my friends, a pool, and these Popsicle!! I am so excited about those peaches! These popsicles are so festive! I am sending this to my neighbor right now, she would LOVE these! 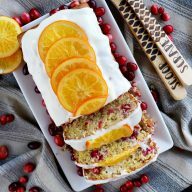 Great for any gathering! They are perfect for the end of summer parties!